The jury is still out on whether Mahendra Singh Dhoni's much acclaimed finishing powers are on the wane or not but former Australia captain Ian Chappell still considers the World Cup winning former skipper as the "best finisher" in 50-over format. Chappell saluted the former India skipper's nerve and longevity. "Nobody has Dhoni's nerve for finishing off victories. Many times I've thought, "He's left it too late this time", only to be amazed as he produced a couple of powerful shots to bring India a nail-biting victory," Chappell wrote in his column in ESPNcricinfo. "His outward calm is no illusion since his tactical adeptness in these situations is proof his brain continues to work perfectly." Drawing a comparison with Michael Bevan, who is considered to be one of the greatest finisher of the game, Chappell said Dhoni has surpassed the former Australian number six. "Where Bevan finished matches with fours, Dhoni does so with sixes. The one area - running between wickets - where you'd expect the fleet-footed Bevan to have an advantage is debatable, because even at age 37, Dhoni is among the quickest in the game," he wrote. "Even allowing for improved bats and the advantage of playing T20 cricket, statistically Dhoni is superior to Bevan. There can be no argument - Dhoni is the best ODI finisher." "His trademark lofted on-drive comfortably cleared one of the longer Adelaide Oval boundaries to settle the issue in that particular finishing effort," Chappell wrote. "It was a clear reminder that any thought that his power might be waning was only wishful thinking on the part of opponents. That he achieved the feat in stifling heat only added to the lustre of his performance." Regarding the 'best ODI batsman' debate, Chappell feels Virat Kohli will surpass legends like Viv Richards, Sachin Tendulkar and AB de Villiers and end his career as the 'Sir Donald Bradman of ODI batsmen'. 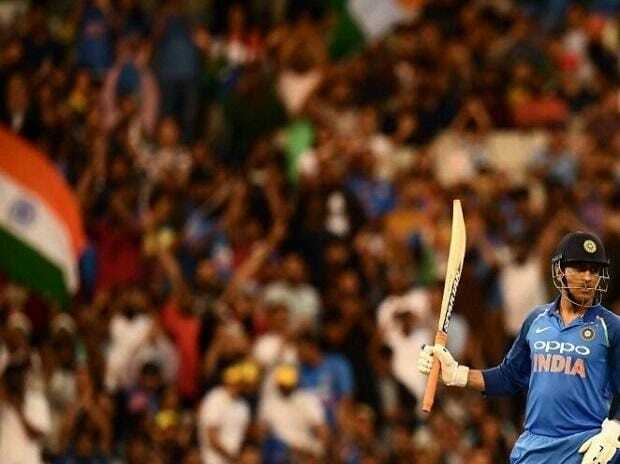 "Kohli reminds me of Richards in his approach to ODI batting; he eschews fancy shots and relies on a wide range of traditional strokes ... As the only one of this quartet still playing ODIs, Kohli already heads some important statistical categories," he wrote. "If he were to continue at his current rate - an unlikely outcome as he ages - he would pass Tendulkar's aggregate with more than one hundred innings to spare and nearly 20 centuries in advance of the Little Master. "If he even came close to achieving these amazing feats, there could be no argument: Kohli would be the Sir Donald Bradman of ODI batsmen.